We’re feeling and working together better than we were 30 days ago. Here’s why. We talk a lot about big things on this blog. Strategies that encompass your entire business, or the way you do marketing, or build your culture. And looking at the big picture is really important. But so is understanding that it’s not just your high-level thinking that matters’ the little things you do every single day are critical in helping you win. Today, I’ll share an example of something small that we did (and are still doing) as a team that has made an impact on our culture, among many other benefits. It’s not a “strategy,” and it’s not a “huge win.” But it matters, and helps to demonstrate that little things can make a big difference. It all started with a simple Slack message. Just like that, the challenge was on. We—nearly everyone on the team—committed to doing something over the course of the next 30 days that would push us, challenge our limits, and bring us together around a common goal. And it had nothing to do with work. It may sound a bit odd, but right away, it felt energizing. Like we had just developed a deeper relationship across the team in a matter of hours. We used a 50-pushup-challenge program from Darebee, which you can grab—along with a free PDF version to print and hang on your wall (we have the link below). 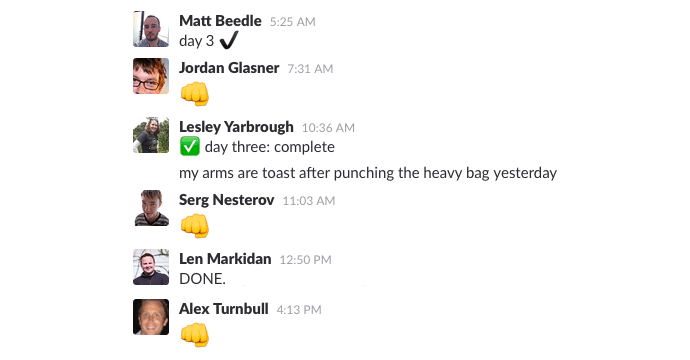 Each day, we decided, each team member would “check in” to the challenge’s dedicated Slack room to confirm that they’d done their day’s pushups. And as we approach day 30 in a few days, we’ve noticed quite a few benefits. As a remote team, each of us works from a home office or co-working space. That has a lot of benefits, and I wouldn’t have it any other way, but it also comes with challenges. One of the biggest issues that we have to deal with is the feeling of isolation that comes with working solo. Even those of us who prefer to work “alone” can struggle with that isolation every now and then. 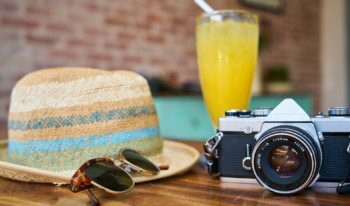 That’s why it’s so important to take breaks, play, have a social life or do whatever it is that keeps you sane (here are 14 things our team does). The pushup challenge really helped with this. It gave each of us a task that we had to do each day that had nothing to do with work. 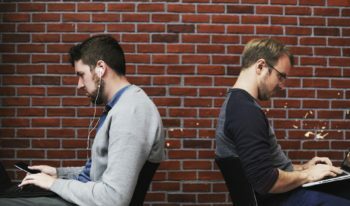 It was a break in our day that required us to stop working and do something completely different, breaking up the monotony of sitting or standing at our computers. This one almost goes without saying; getting up and doing something physically active is a good idea, no matter how little activity you do. Personally, it also causes me to make better decisions about my health for the rest of the day. Even if I do ten pushups in the morning, I’m less likely to make unhealthy food choices later on, because the workout, even though it’s a small one, makes me think of today as a healthy day. Multiply that effect across the entire team, and you get big health impact. While I can’t back this one up with data from our own small experiment, to me, a healthier team means fewer sick days, better productivity and happier employees, so I’m all for anything that helps us stay healthy. Tackling a shared goal has helped us connect on a deeper level than we do in our regular day-to-day work. Of course, through our jobs, we are working on a shared goal—help our customers succeed and grow Groove—but it’s different when you turn your eye toward a personal goal. It’s like training for a marathon together, or learning a new language; it has a bigger impact on your personal life, and thus makes the culture building we’re doing feel more personal to everyone involved. Our daily check-ins have also added yet another touch point for our team to communicate with each other on. Again, this may seem small, but it’s not. We recently started doing daily meetings, and the results have been tremendous. 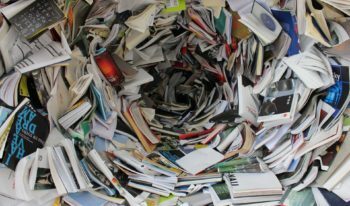 This helps us have even more communication across our team, in a way that doesn’t force us to have more meetings or unscheduled interruptions in our work. If you want to do the pushup challenge, grab all the materials that you need right here. But what if you have no interest in doing pushups? Here’s the thing: your challenge doesn’t have to have anything at all to do with fitness. You can get the benefits of a team-wide challenge from literally hundreds of different challenges. The possibilities are nearly endless. You literally only need two things: a challenge, and a place to track it and talk about it. 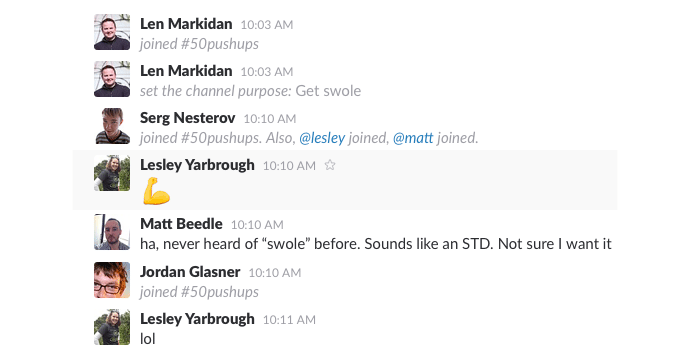 For us, that challenge was the pushup challenge, and the hub was a Slack room. You could do the same thing with something like Trello, where you can sign up for free and create a board to track the challenge. Oh, and one more thing: the results actually don’t matter that much. I’m publishing this a few days before we finish. I have no idea what the outcome will be. But the most important benefits have already been reaped by our team. It’s the journey, not the result of the challenge, that’s key here. Culture and team cohesiveness and happiness are so, so important, and yet so few businesses—especially startups—deliberately work on them. You don’t have to start with a grand culture plan or big vision… you can start small with activities like this, and still get big benefits (although this will have big benefits even if you already have an established and thriving culture). 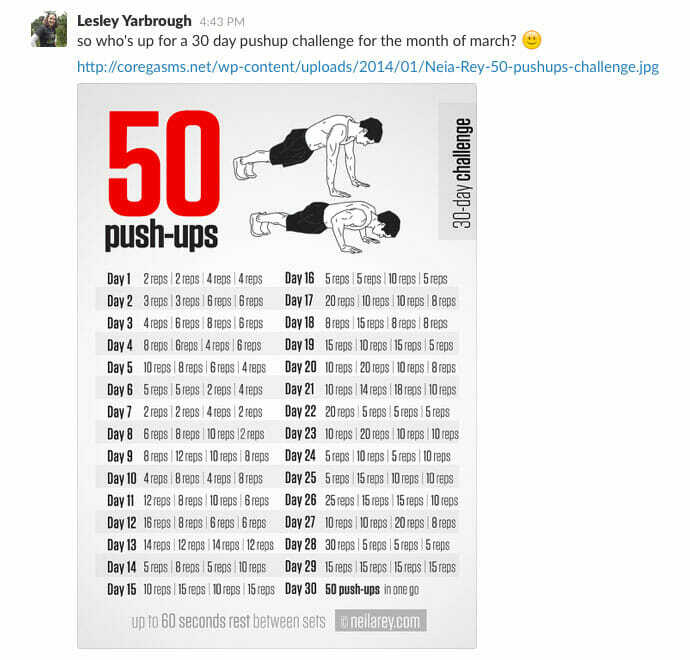 I hope that this post inspired you and your team to undertake a challenge of your own, whether you’re doing pushups or just about anything else.